“The split of the Christian church is a big mistake, a blasphemy of the Holy Spirit and an ignoring of the existence of Christ who promised: “… the gates of hell will not prevail against it.” (Mt 16:18) I invite you to stand before history for a moment to see the reason for our divisions. You will see that thousands of innocents have shed blood, righteous men have suffered and been expelled from their countries. We thank God that Christian churches in this generation have begun to feel the necessity of continuing the Christian dialogue and as a result they have drawn closer to each other and planned for continuous meetings at various levels to study different subjects. The unity of Christianity can only happen in and around Christ, who is the head of the Church and we with all our doctrines are only parts of the holy body of Christ. This thesis is a study of the ecclesiological perspectives explicit and implicit in forty years of 20th century dialogues between Eastern Orthodox and Oriental Orthodox Christians. It focuses particularly on arguments for and against the lifting of anathemas issued more than fifteen hundred years ago by each of these two communions against persons venerated by the other as saints. Most of the major elements of the arguments for or against lifting the anathemas were already being articulated (by and large with at least as much cogency as they would come to be in later decades) from the earliest stages of the informal consultations between Eastern and Oriental Orthodox in the 1960’s and ‘70’s; therefore, those consultations and the papers delivered at them represent one major area of source-material in my research. A second major area of source-material are the reactions, positive as well as negative, to the recommendation to lift the anathemas that was issued in 1990 by the Joint Commission of the Theological Dialogue between the Orthodox Church and the Oriental Orthodox Churches. 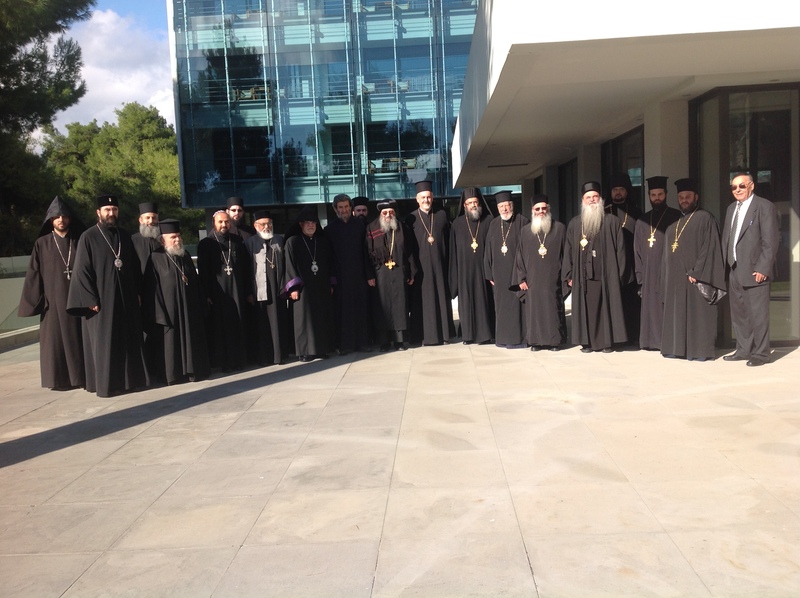 These reactions have been aired in numerous articles, memoranda, papers delivered at symposia, online sites devoted to Orthodoxy and ecumenism, and interviews and official statements issued by Patriarchates or by the synods of local Churches. Through all of them as through the earlier consultations, there run certain salient lines of ecclesiological thought. The main purpose of this thesis is to delineate these lines of thought and to evaluate them both through an analysis of their own internal coherence or incoherence and in the light of what can be reasonably said about the ancient Church and how it seemed to approach questions of unity and division. The conclusion of this thesis is that much of what is presented as standard Orthodox ecclesiology today is at odds with the practice of the ancient Church, and that most of the arguments against lifting the anathemas are without a sound basis. At the same time, this thesis concurs with the judgment that the agreement the Joint Commission claims the two Communions have reached on Christology has yet to be adequately solidified. However, the reasons for this have less to do with anything that stands between the two Communions than with a fundamental irresolution within each one. No viable, enduring framework within which it would make sense for the anathemas to be lifted—not quietly as some have urged, but boldly, with a clear conscience—has yet been put in place. All of the elements of it, I believe, are present in the insights of the many clear-thinking writers and dialogue participants who have labored to realize genuine unity, but it is not yet assembled. If and when it were it would deliver Chalcedonians and non-Chalcedonians alike not only from separation from one another but from profound and rapidly sharpening internal tensions. Finally, this thesis offers a few dim outlines of the sketch of what such a framework might be.